THE Old Theatre at the London School of Economics is a hotspot for demagoguery. Fiery student orators have honed their rhetoric there before going on to jobs in investment banking; mobs denouncing dictatorship have hounded hapless visiting speakers from the podium. Notoriously poorly ventilated, the air can be thick with everything from the smell of wet clothes (LSE is too cramped to provide a convenient cloakroom) to flurries of paper darts directed at speakers that the audience finds boring or annoying. On one memorable occasion, a gigantic inflated condom came floating down from the gallery to disconcert a notoriously adulterous politician who was trying to give a talk on privatisation. In 1980, when your diarist arrived there as an undergraduate, it was gripped by the issue of Soviet beastliness at home and abroad. At one end of the political spectrum were the ardent anti-communists, soon to be reinforced by refugees from martial law in Poland. They denounced the persecution of Soviet Jews, collected signatures for Czechoslovakia’s Charter 77, and celebrated the West’s renaissance under Ronald Reagan and Margaret Thatcher. So an evening debate on the death of Russian press freedom (where your diarist was putting the case for the prosecution) produced a sense of déjà vu. Two Russian journalists, putting the case for the defence, centred their case not on the rights and wrongs of Russia’s laws on extremism, but on the shortcomings of the British media for superficiality, double-standards, and craven obedience to its political and commercial masters. How dare we criticise Russian public broadcasting after the way the BBC had bowed to government pressure on so many occasions? 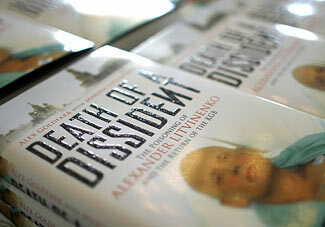 Had not the newspaper coverage of the Litvinenko murder been a farrago of exaggeration, misunderstanding and hypocrisy? Well perhaps it had. But the debate was about Russia. The shortcomings of the British press are widely discussed, not least by its own journalists; though it gets most things wrong most of the time, the errors are not directed by weekly meetings at Number 10, Downing Street at which a prime ministerial aide lays down the line to take in the comings days. Soviet propagandists’ overuse of “whataboutism” provided the punchline for subversive jokes. For example: A caller to a phone-in on the (fictitious) Radio Armenia asks, “What is the average wage of an American manual worker?” A long pause ensues. (The answer would have been highly embarassing to the self-proclaimed workers’ paradise, which was proving to be lots of work and no paradise). Then the answer comes: “u nich linchuyut negrov” [over there they lynch Negroes]. By the late 1980s, that had become the derisive catchphrase that summed up the whole bombastic apparatus of the Soviet propaganda machine. Yet “whataboutism” attracted vocal support from some parts of the audience. A student from Pakistan passionately denounced democracy as a sham. Someone from Malaysia praised the Kremlin for standing up to America. A bearded Brit came up with a predictable, “Who are we to judge?”. Others, including what seemed (from their accents) to be a good sprinkling of Russians, disagreed, denouncing the Kremlin line and bemoaning the loss of media pluralism (not quite the same as freedom, but still worth having) since the Yeltsin years. Most did not give their names before speaking. “The embassy is watching us” explained one of them afterwards. Plus ça change. FOR the past two years, outsiders have watched with a mixture of unease and derision as the most important country in eastern Europe has seemed to drift off into a world of its own. Poland's voters have now mercifully dragged it back. With the thumping defeat of Jaroslaw Kaczynski's Law and Justice party, and the victory of Donald Tusk's Civic Platform, Poles can put behind them a period of mistakes and missed opportunities. And not only Poles are celebrating. Under the eccentric rule of Mr Kaczynski as prime minister and his twin brother, Lech, as president, Poland seemed to confirm the fears of those who said that enlarging the European Union to the east was a mistake. In the name of fighting corruption at home, the Polish authorities corroded independent institutions, undermined the rule of law and misused the intelligence services. Abroad, the Kaczynskis repeatedly misplayed their hand, making their country, once a respected ally, a laughing stock and a nuisance. They picked unnecessary fights with Germany, sourly cited past historical wrongs (Poland has, sadly, suffered many) in their bid for bigger voting weights within the EU, and put backs up all round. It was principally younger Poles, turning out in unprecedented numbers, who handed Law and Justice its election drubbing (see article). That is a welcome counter to fears that apathy, cynicism and emigration make it too easy for heavy-handed governments in ex-communist countries to hang on to power. Voters' patience is exhaustible. Civic Platform inherits a booming economy, with GDP growth forecast at 6.5% by year's end. That provides a good basis for reforming the public finances and simplifying the tax system, which Law and Justice largely failed to do. The country's lamentable transport system and antique public administration offer plenty of scope for modernising zeal. A good measure of success will be if some of the hundreds of thousands of Poles now working in western Europe start to trickle home. Abroad, simple adherence to the elements of diplomacy—turning up for meetings, answering letters, negotiating calmly—will gladden Poland's friends and neighbours. Civic Platform will find it easy to be more competent than its predecessor, but it should not be less principled. The Kaczynskis were clumsy in their corruption-hunting, but their quarry was real. It would be a pity if Poland now returned to the sleaze that marred public life before 2005. The criminal-justice system needs to be depoliticised, not castrated. Meanwhile, the new government should avoid seeming vengeful. Law and Justice packed the senior reaches of officialdom with party placemen; Civic Platform should not. Nor should Poland's new leaders purge competent people in top jobs solely because they were appointed by the old government. As for foreign policy, Civic Platform could start by mending ties with Germany. Poles may reasonably feel twitchy about close German-Russian co-operation, especially in energy. But regarding Berlin and Moscow with equal suspicion is no help. Germans are themselves worrying about Russia's direction under Vladimir Putin, and about its influence on their country. The Kaczynskis' venomous anti-German stance damaged Poland and weakened the EU. The more constructive Poland is in the EU, the easier it will be for Germany's Russia-sceptic chancellor, Angela Merkel, to take risks on Poland's behalf. THE ex-communist states of eastern Europe have been economic success stories but political failures in recent years. Since eight former captive nations joined the European Union in 2004, and two more in 2007, they have said and done little to engage the enthusiasm or interest of the outside world. Apart from Estonia’s cerebral and worldly-wise president, Toomas Hendrik Ilves, it is hard to think of any politician in the region with a serious claim to international importance. The biggest vacuum has been in Warsaw. Poland is the largest new EU member; in both population and economic importance, it is more than twenty times bigger than Estonia. But a dismally inadequate foreign policy since 2005 has meant that it has punched far below its weight. Now that can change. Poland’s new government has a historic chance to lead the whole ex-communist region in the cause of liberalisation, competitiveness and economic security. Low productivity and fragmentation in service industries, for example, are among Europe’s most grievous weaknesses. Cross-border competition in goods has already cut prices, stoked growth and raised standards. The same could happen in services: all that is needed is the political oomph to overcome the vested interests that previously derailed discussion of a single services-market. All the ex-communist countries want liberalisation. With effective leadership from Poland, they can get it. Similarly, Poland should open its labour market more fully to workers from Ukraine, Belarus and Moldova and encourage the other new EU members to do the same. Just as workers from Poland, Latvia and elsewhere have gained skills, contacts and know-how from working in Britain and Ireland, the new EU members can offer the same kind of knowledge transfer to the countries to their east. That would unsettle the Kremlin too: the worst news for the peddlers of authoritarian crony-capitalism would be a confident, prosperous and well-travelled citizenry in the countries of the former Soviet Union. Poland can make that happen. Poland should also push for greater fairness in the management of the euro zone. Those who want the European Central Bank to remain a manageable club for rich countries were, scandalously, allowed to rob Lithuania of its chance to adopt the euro in January, when it missed the inflation target by what most economists would regard as a trivial rounding error. Poland should have been in the forefront of protests about that, but its government was, as usual, distracted. Now Slovakia risks being kept out, heightening the danger of a two-speed Europe in which the ex-communist countries will be perpetually consigned to the slow lane. One possible tactic would be for Poland to line up half a dozen ex-communist countries behind a goal of unilaterally adopting the euro by, say, 2010. That would concentrate minds in Frankfurt. Thirdly, Poland should lead by example on energy security. The squabbles and indecision over the planned joint Baltic-Polish nuclear power plant in Lithuania have been startling. If even the countries most menaced by Russia’s energy imperialism cannot agree on the details of this urgently needed project, what chance is there of the rest of Europe taking energy security seriously? The previous government’s amateurish efforts to diversify gas supply were equally ill-starred. Poland should push for EU money to go towards interconnecting pipelines and power lines between the member states. If international rail and road projects can gain such generous support, why not the energy infrastructure too? So the EU, after years of introspection, is finally ready for new ideas, just as Poland is returning to the European mainstream. The coincidence could hardly be happier. THE era of the terrible twins is over. That is the upshot of the election on October 21st in which the ruling Law and Justice party, a populist and nationalist outfit, was swept aside by a more moderate and pro-European party, Civic Platform. On the highest turnout since the collapse of communism in 1989, almost 54% of Poles voted, including for the first time large numbers from the diaspora in western Europe. Civic Platform, under its leader, Donald Tusk (above), polled just over 41%, winning 209 seats in the 460-member lower house of parliament, an increase of 76 seats on the 2005 elections (see chart). Law and Justice, led by the outgoing prime minister, Jaroslaw Kaczynski, polled more votes than last time and even increased its seats by 11, thanks to the demise of two small populist parties that had been its on-off allies in the unstable governing coalition of the past two years. Mr Kaczynski's brother, Lech, remains president until 2010, and may try to use various delaying powers to hamper the new government. But his veto can be overruled by a three-fifths vote in a quorate session of the lower house. With only 166 seats, Law and Justice cannot block that. The result was a surprise. For most of the campaign, Civic Platform had been lagging badly. The government seemed to have made the election a referendum about corruption, one of Poland's biggest problems in the post-communist era. That seemed to polarise opinion successfully: only the austere Mr Kaczynski and his zealous corruption-busters stood for change. Opposing them meant defending the sleazy practices of the past. A strong dose of social conservatism on issues such as homosexuality and abortion, though it appalled liberal-minded, middle-class opinion in the cities, went down well with the many traditionalist rural voters. The alarm and contempt with which the Kaczynskis were viewed abroad seemed to make little impact. Prickly, monoglot, untravelled and old-fashioned (neither uses a computer and Jaroslaw does not even have his own bank account), they embodied and exploited the inferiority complex felt by many Poles. But Law and Justice overdid it. The high-handed approach of the publicity-loving justice minister, Zbigniew Ziobro, and the appointment of a close Kaczynski political ally, Antoni Macierewicz, as the head of a new military counter-intelligence service caused widespread queasiness in the country. Coupled with a highly partisan approach to top appointments in supposedly neutral institutions such as public broadcasting, the Kaczynski way of doing things risked comparison with Vladimir Putin's authoritarian regime in Russia. Such fears were overdone. Polish democracy may have been bruised by the Kaczynski era, but it was not in danger. Voters were unconvinced by the Kaczynskis' sometimes hysterical claims of the dangers posed by the corrupt overlap of ex-spooks and ex-communists. The use of sometimes primitive and xenophobic language prompted younger, better-educated Poles, previously apathetic about domestic politics, to vote in large numbers. The turning-point of the campaign was the prime minister's humiliation by Mr Tusk in a televised debate. Mr Tusk used humour, calmness and command of the facts to flatten Mr Kaczynski, allegedly flu-ridden, who came across as bombastic and waffly. Mr Tusk highlighted Law and Justice's weakness on economics, such as an unfulfilled pledge to build 3m new homes. He also pointed out that 2m Poles had gone to seek work abroad. Law and Justice then made matters worse by overplaying their strongest card: anti-corruption. Earlier in the campaign, police had arrested a Civic Platform parliamentary deputy, Beata Sawicka, in a sting operation (she admits doing wrong, but accuses the government of acting unfairly). Her party immediately sacked her. But two weeks later the powerful anti-corruption agency set up by Law and Justice held a sensational press conference to show a film, shot secretly, of Ms Sawicka apparently taking a bribe. That seemed to have nothing to do with the rule of law and everything to do with the election campaign. When Ms Sawicka held a press conference the next day, during which she broke down in tears, Mr Kaczynski commented that the opposition was trying to use a weeping woman to win the election. The episode symbolised Law and Justice's worst side: petty, vindictive and crass. On many issues, Civic Platform and Law and Justice overlap. Both have their roots in the anti-communist dissident movement; both emphasise the importance of the Catholic church. The fundamental difference is in their attitude to the painful economic changes of the 1990s. Law and Justice represents the losers from that era; Civic Platform stands for those who did well out of it. The biggest difference now will be in the style of government. Civic Platform prides itself on its international credentials and competence. How much of that translates into real reform at home remains to be seen. But foreign policy will certainly be different. 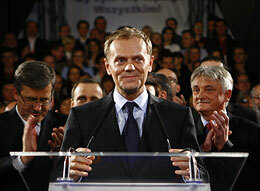 Mr Tusk wants Polish troops pulled out of Iraq, sooner rather than later. Under the likely foreign minister, Oxford-educated Radek Sikorski, Poland may drive a slightly tougher bargain with America over missile defence. It will try to be a more co-operative member of the EU, avoiding the unnecessary fights, especially with Germany, that typified the Kaczynski era. “We've always held a hand out towards the Poles; now maybe it will be shaken,” says a German official. Law and Justice will see such rapprochements as treachery. But the voters thought otherwise. WHATEVER the details of Poland's next government, the perplexing and sometime troubling era of the "terrible twins" is over. That, in short, is the message of the election on Sunday October 21st, in which the centre-right opposition Civic Platform party, led by Donald Tusk, trounced the ruling Law and Justice party of Jaroslaw Kaczynski, who will now step down as prime minister. His twin brother, Lech, will stay on as president, although with sharply diminished political clout. With 90% of the vote counted Civic Platform had received 41.6% of the vote; Law and Justice got 32%. Law and Justice had called an early election hoping to consolidate the gains made during the past two years, when the party—at times governing alone, otherwise with small coalition allies—has been on a rumbustious crusade to rid Poland of the uklad, a sinister conspiracy of ex-spooks, former communists, corrupt officials and well-connected businessmen. Both the timing of the election, and the tactics adopted in the weeks leading up to it, have proved misjudged. Many Poles agreed with Law and Justice’s diagnosis of the danger of pervasive corruption, but found the medicine worse than the disease. The government’s favourite means were the use of highly politicised prosecutors against political opponents, and the vindictive and partial leaking of secret-police files and material obtained by the intelligence agencies. Rather than building up the independent institutions that Poland undoubtedly needs, the government tended to pack public bodies with its own people. Its harping on the need for a strong state, coupled with depicting its opponents as crooks and traitors, led some to compare the Kaczynskis' approach to that of Vladimir Putin in neighbouring Russia. Foreigners found little to admire either. Law and Justice seemed obsessed with the wrongs of the past, but blind to the needs of the present. The Kaczynskis liked to demand “solidarity” from their European allies, but demonstrated little themselves. Their foreign-policy stance was ignorant, clumsy and suspicious. Amid the sighs of relief, Civic Platform's new government, probably in coalition with the moderate agrarian Polish Peasants' Party, can expect a honeymoon at home and abroad. The Polish economy is doing well, stoked by booming foreign investment, emigres’ remittances, soaring exports and EU funds. That provides plenty of room to deal with Poland's wasteful public finances, unreformed bureaucracy and grievously inadequate transport network. Abroad, the new government will find a warm welcome, particularly in Germany, where the chancellor, Angela Merkel, has found her repeated attempts to be friendly rebuffed with bewildering chilliness by the Kaczynskis, who seemed to see little difference between Germany and Russia. The Civic Platform leader and putative prime minister, Mr Tusk, speaks German. Law and Justice tried hard, but failed, to exploit that during the campaign. And it is this which is probably the biggest lesson. The Kaczynski era looked ominous and all but impregnable while it lasted. Eastern Europe's largest democracy seemed to have been captured by a vengeful populist clique, with ideas about the outside world that ranged from the idiosyncratic to the unpleasant. Polish voters, many feared, were too apathetic and disillusioned to care; the institutions of state too weak to resist. The price was paid not only by Poland, which was being pulled away from the European mainstream, but by the whole of the EU, whose most important new member was turning into a highly questionable advertisement for enlargement. Now those fears have been put to rest. Turnout was so high that some polling stations had to stay open late to cope. Primitive politics, xenophobia, and high-handed attitudes to the niceties of democracy and the rule of law have been shown to be electoral liabilities, not a surefire route to success. For that many will be thankful, not only in Poland. MINDFUL of American help in the cold war, the Czech Republic and, especially, Poland are among the more Atlanticist countries in Europe. Yet the administration's plans to base ten interceptor rockets in Poland and a radar base in the Czech Republic, though supported by both countries' governments, have gone down badly with voters. The risks seem high (Russia talks of measures to “neutralise” the installations) and the rewards low. “It is seen as a gift to America without reciprocity,” says Radek Sikorski, a former Polish defence minister who is now a candidate for the opposition Civic Platform, the front-runner in the election on October 21st. He thinks a fairer deal would include upgraded Patriot missiles to protect Warsaw, of the type already deployed in South Korea and Japan. These, he says, would cost $1 billion, or “12 hours of the Pentagon's budget”. Yet far from offering sweeteners, America has treated its allies with arrogant disdain. The diplomatic notes requesting the bases even came with prepared replies attached. Opposition in Poland is shallow. The two biggest parties are in favour, and the issue has barely featured in the election campaign. Poles see a good case for stronger defence ties with America. Their country borders Russia and Belarus, and—at least under the prickly leadership of the Kaczynski brothers—has had worries about Germany too. The calmer Czechs, by contrast, find the health risks from the radar alarming. America was oddly slow to provide the technical information to rebut these fears. Worse, the government in Prague has blundered. Local officials in the region where the radar is to be based say the politicians tried to buy them off with millions of euros in subsidies. They detect an echo of communist propaganda in their rulers' declarations of loyalty to a military ally, plus an unwillingness to give straight answers. The government's representative for the radar, Tomas Klvana, once lobbied for the tobacco industry, not a good background from which to reassure people about safety. Many opponents of the radar insist they are not anti-American, and resent being depicted as leftist nutcases. Better diplomacy could ease worries in Poland and the Czech Republic. But two questions remain. One is whether missile defences, hugely profitable to contractors, will work in reality. The other is why Russia is making such a fuss. Both geography and arithmetic support the American argument that the system is meant to counter a handful of missiles that might one day be fired from Iran, rather than the Kremlin's colossal nuclear arsenal, which can be launched from land, sea and air. DEVALUATION would be horribly painful and solve nothing. That is Latvia's defence, as its inflation rate and current-account deficit soar, and speculators hover over its pegged exchange rate. On paper, the small Baltic economy looks nastily exposed, as, to a lesser extent, do its neighbours Lithuania and Estonia (see chart). All three have overheating economies and fixed exchange rates: a risky mix. Some fear the region could be eastern Europe's Achilles heel. Latvia is in the worst situation. Year-on-year inflation in September was a whopping 11.4%; the current-account deficit over a fifth of GDP. Bank lending, much of it in foreign currencies, has soared, creating a property bubble in the capital, Riga. Overheating has hurt competitiveness. To some the national currency, the lat, looks like the likeliest casualty. Latvia's position was not helped when Jürgen Stark, a board member of the European Central Bank, said earlier this month that ex-communist countries wanting to join the euro zone faced “substantial challenges”, banker-speak for “forget it”; Lorenzo Bini Smaghi, another ECB board member, publicly questioned the ability of these countries to keep inflation under control while maintaining fixed exchange rates, a stance that means adopting what is de facto the euro zone's monetary policy. Yet a devaluation is far from inevitable. The Latvian banking system is largely foreign-owned. If overstretched borrowers start to default, that will hurt shareholders abroad, mainly in Sweden, not the stability of the whole financial system. If scared banks rein in lending and construction companies go bust, that would help produce a much-needed soft(ish) landing. Indeed, that may already be under way. Furthermore, speculating against thinly traded currencies is tricky. It may also be pointless: the Latvian central bank has enough reserves to redeem every lat in circulation, and more besides. And as Jon Harrison of Dresdner Kleinwort, a bank, points out, Latvia has little foreign debt and a strong credit rating. It could borrow in euros to ease a local credit squeeze. The problem for Latvia is the lack of monetary-policy levers. The currency peg means it cannot raise interest rates. Even when banks cut back on their lending, other financial entities, such as leasing companies, can fill the gap. That leaves only fiscal policy; yet the government, an uninspired coalition stronger on business practice than economic theory, has shied away from the big surplus that might slow the economy and reassure outsiders. The 2008 budget foresees a surplus of only 1%, rising to 1.5% in 2010. Outsiders think 3% would be a good start. A forced devaluation in Latvia would be ruinous for the middle class—at least for those who stayed to experience it. Tens of thousands of Latvians have gone to work abroad already. Any gain in nominal competitiveness might well be counterbalanced by an even tighter labour market. Estonia and Lithuania would be at risk if Latvia did devalue. But elsewhere, a crunch in the Baltics would be more spectacular than significant. The combined GDP of the three Baltic economies is barely 1% of the euro zone's. Their plight might worsen wobbles in Kazakhstan, say, but most other ex-communist countries would weather the storm. The main change would be in the mood music. When liquidity was plentiful, lending in eastern Europe looked like a source of easy profit. Now the region's bottlenecked economies and lacklustre governments stand more harshly exposed. CONVENTIONAL wisdom about eastern Europe is usually wrong. Few believed the communist ice-cap would melt so quickly in 1989. Today’s growth rates seemed unimaginable in the early 1990s. Surely nothing could now derail the great locomotive of economic growth? Indeed something could: a lack of brainpower. So far, the region has benefited from the twin windfalls of low labour costs—a perverse gain from communist mismanagement—and fast economic integration with the rich half of the continent. Now the big challenge is not becoming more efficient in order to be cheaper, but innovating in order to be better. That depends chiefly on the quality and quantity of brainpower available. Economists’ unlovely jargon term for brainpower is “human capital”. A new study by the Lisbon Council, an incisive Brussels-based think-tank, highlights some ominous trends. The ex-communist east of the European Union has backward industries, a dire demographic outlook and, for the most part, out-of-date universities. A brain-drain may be irreversible. The study should be mandatory reading for the stubborn, complacent and squabbling politicians of eastern Europe. Only two countries are above the western European average: Slovenia, thanks to its wealth, and Turkey, because of its booming birthrate. For most of the others, the human-capital gap is large, and likely to widen rather than narrow. One factor that the study quantifies is human-capital endowment, meaning the brainpower created by parents, formal education and training, and on-the-job learning. Here Slovenia towers over the others, with about $156,000 invested in each employed person, compared to Slovakia, Romania and Bulgaria, each with less than half that amount. The figure for western Europe is over $240,000. Rich Europe also uses more of its available brainpower because it has more people in the labour force and keeps them at work for longer. By contrast Croatia, Poland and Slovakia score particularly poorly here. Western Europe’s employees are also better wired: every new member-state is below the western average for internet penetration, and all but Estonia and Slovenia trail on e-government scores. The result is plain to see. Only Slovenia, with 42 patents per 1m population in the 2000-2003 period, comes anywhere close to the western European average of 200. Only Slovenia, the Czech Republic and Croatia spend even half of western Europe’s 2.2% of GDP on research and development. It is not hopeless. In so far as international comparisons (which are notoriously tricky) are to be believed, secondary education in most ex-communist countries matches western European levels. Indeed, Estonia and the Czech Republic show better scores than any European countries except Finland and the Netherlands. Education reforms in Hungary, Slovakia and Slovenia have also borne fruit. But that is only the start. The ex-communist countries need radical reform of higher education; into the rubbish bin must go old communist-era bureaucracies with their monopolistic, bureaucratic and risk-averse thinking. That will be tough: the people who most need to change, in the education ministries and university rectorates, are the ones in charge. Secondly, educating young people is not enough: the poor demographic outlook means that people of all ages must learn new skills, and keep working for longer. “Any worker younger than 65 is…far too precious to be retired early”, the study states. Without such reforms, the two halves of Europe will stop converging and start diverging. Poor countries are unattractive places to innovate, with bad public services, unappealing workplaces and a gloomy outlook. So they stay poor, and grow old before they get rich. Without some big changes soon, that fate awaits most ex-communist countries: sad for them, but bad for western Europe too. HOW she would have relished the farcical investigation into her own murder. Anna Politkovskaya’s speciality was exposing the brutality and blunders of Russian officialdom, and the crude and greedy politicisation of what should be the neutral exercise of state power. Only modesty would have prevented her penning some bitter words about Vladimir Putin’s dismissal of her “marginal” role and mocking the authorities’ insistence that her murder was ordered by Russia’s enemies (who else, after all, has an interest in discrediting the Kremlin?). Her own fate aside, the 12 months since the murder of Russia’s best-known campaigning journalist would have provided material for a weighty sequel to “Putin’s Russia”, her last book, which mixed acute observation with caustic commentary. It is easy to imagine the passion with which she would have written about the fate of Larisa Arap, a Murmansk-based opposition activist who unwisely wrote an article complaining about the sexual abuse of minors in mental hospitals. She went to see a doctor for some minor paperwork; when he found out who she was he had her locked up in psychiatric hospital. It took a month to get her out . Politkovskaya would have noticed the growing numbers of Kremlin critics in exile: Yelena Tregubova, a journalist who unwisely wrote a gossipy insider’s account of life at the top, including a startling description of a dinner á deux with Mr Putin. She has fled to London. She also would have noted the fate of Boris Kuznetsov, Russia’s best-known defence lawyer, who has moved abroad to escape charges of leaking state secrets (he complained to Russia’s constitutional court that the FSB was bugging a client’s phone). She would have been particularly irate at the authorities’ closure of the Educated Media Foundation, whose director, Manana Aslamazian, has moved to Paris. Ms Aslamazyan’s “crime” (which led the to the closure of Russia’s biggest independent journalist-training outfit) was failing to declare all the foreign currency she was bringing in to Russia; that is a rule, habitually broken, that exists only to provide a basis for checking those wanting to take foreign currency out of the country. Smoke would have been rising from the Politkovskaya keyboard at this week’s “news” (better described as a twist in the script), which had Mr Putin smoothly taking the top spot in United Russia’s election list for December, paving the way for him to become prime minister. “Why do I so dislike Putin? I dislike him for a matter-of-factness worse than felony, for his cynicism, for his racism, for his lies...for the massacre of the innocents,” she wrote in “Putin’s Russia”. She used to dismiss him as a failed spy with delusions of grandeur; now she might be mocking him as a would-be Tsar. But she would have noticed some flickers of good news too. Kremlin pressure against Estonia, Georgia and Ukraine in the past 12 months has proved fruitless. Her biggest western bugbears—Jacques Chirac, Gerhard Schröder and Silvio Berlusconi—are history. Their successors are taking a much tougher line against Russia. That at least is no longer the case. But it would not help assuage Politkovskaya’s greatest concern: that the Russian people seem so indifferent to their rulers’ shortcomings, and so willing to vote for those who despise democracy. 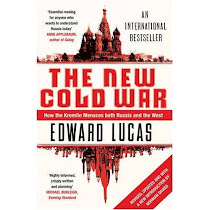 LIKE old clothes, the language of the old Cold War is comfortable, but not presentable. The “West” is not western. “Eastern” Europe is no longer eastern; central Europe is no longer central. The definitions never made much sense, as a glance at a map and a brief journey into history shows. NATO, supposedly an alliance of “western” and “democratic” nations, includes Turkey and Greece, both of which are on the eastern fringe of the European continent, and spent chunks of what was supposedly a conflict between totalitarianism and freedom as dictatorships. The “east” made a bit more sense, being a military block that stretched from the western shores of Bohemia to the Bering straits. Still, quite a lot of that was well westwards of much of the “West”. Finland and Sweden were “western” but neutral. Yugoslavia was neutral but not “western”. It was once daring to speak of “Central Europe”, making out that the Iron Curtain was not the only division: that perhaps Hungary, Austria and Slovenia had more common culture, history and mentality than their geopolitical orientations would suggest. But that term now has little more than meteorological significance. “New Europe” is convenient shorthand for the ex-communist countries, but means little. In what sense is Poland, a state since 966, “new”, while 19th century inventions such as Germany are “old”? Even the phrase “new democracies” is odd: Poland's constitution of 1791, the first in Europe, pioneered democracy on the continent. The eight “new member states” are no longer new, now that Romania and Bulgaria have joined. It is much easier to nitpick than to invent. But here are some attempts. First, ban the word “democracy”, which has been worn smooth by misuse. If Vladimir Putin of Russia describes himself as a “perfect democrat”, he is welcome to the term, along with the Democratic People's Republic of Korea and those nostalgic for the German “Democratic” Republic. Democracy all too often means buying votes, rigging elections and mob rule. Three better terms are “law-governed”, “free” and “public-spirited”. The first means that the executive power is subject to an abstract code of rules, enforced by fearless outsiders: in other words, even the president can be impeached. That is the basis for private property, solid contracts and enforceable civic rights. “Free” is a bit broader. It means countries where you can complain, singly, jointly or en masse, about things you don’t like, without fear of retribution from your targets. You can write to or set up a newspaper, join or found a pressure group. “Public-spiritedness” is the most important: it embodies the idea that personal gain and family ties do not reign supreme, and that harsh patriotic sentiment is not the only abstract identity that deserves loyalty. It is public-spiritedness that creates strong institutions, both public and voluntary. It makes societies self-critical and self-correcting, and life for everyone becomes safer, nicer and more efficient. A good shorthand term for the free, law-governed and public-spirited countries of the world is badly needed, to replace the misleading and off-putting “West”, with its echoes of colonialism, self-satisfaction and cultural supremacism. The best candidate so far is “open” societies—the term coined by Karl Popper and promoted so energetically by the philanthropist George Soros. That has the advantage of a natural antonym: closed societies. Better terminology means clearer thinking, but it does not guarantee victory. Nearly 20 years on, the gains of the heady and happy late 1980s are looking troublingly fragile and temporary. Closed societies are riding high; open ones are rattled and demoralised. Rather than asking when the values of “open Europe” will finally triumph, it might be better to ponder if they will survive.